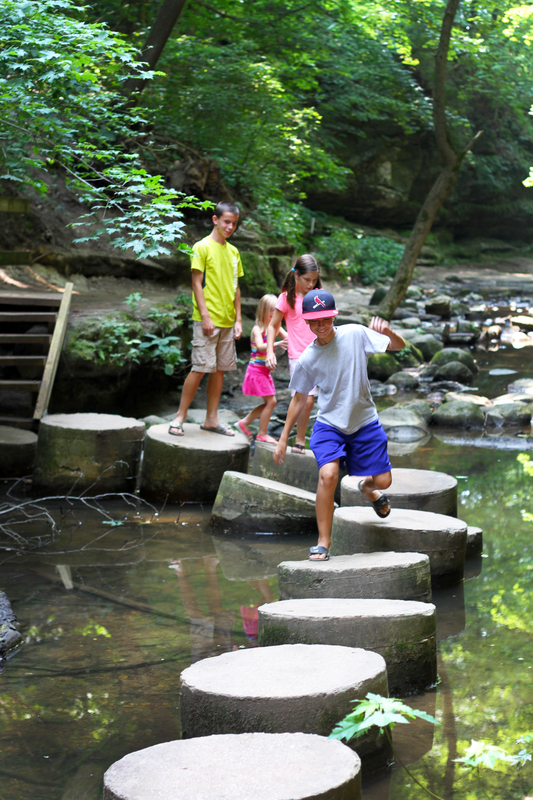 If you live in the Chicago area, then you are probably like us and make at least one trip a year out to a state park that makes you feel like you are a million miles away from suburban life. 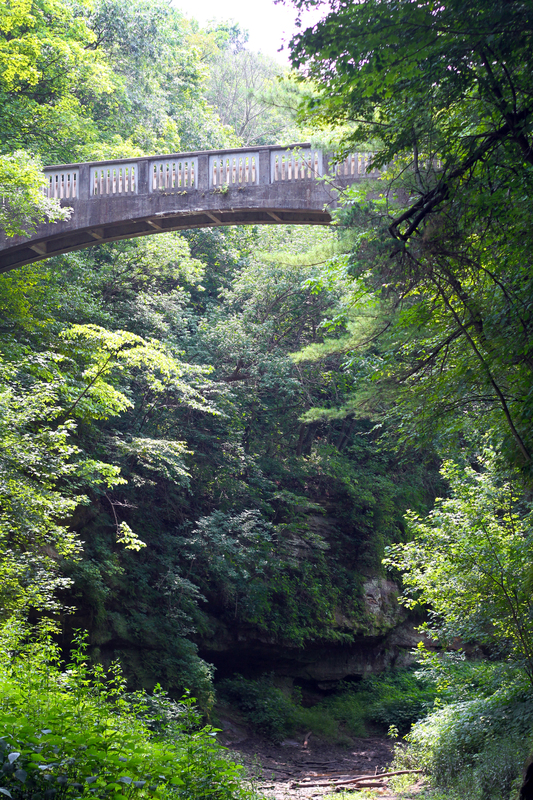 Well, now that we moved, I realized we live almost on the same street as this state park. I mean, yeah… We have to drive through about six towns and 40 miles of corn fields, but other than that, the state highway that runs by our subdivision goes all the way to Starved Rock. So, Thursday morning, I had a bit of work to do, but I promised the kids I would give them a surprise as soon as I was done. “We’re going to Starved Rock!” I announced in my most enthusiastic voice, probably with a bit of a hip wiggle for effect. That’s pretty much how they respond to most of my big, exciting ideas for a fun family day together. But somehow I always convince myself this time will be different. 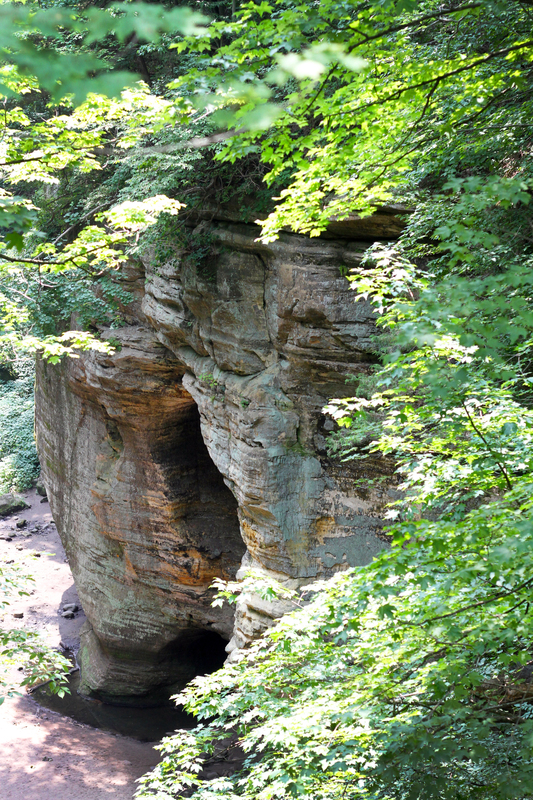 Once you get to Starved Rock, you can’t help but be overwhelmed by the unique beauty of the cliffs and canyons. 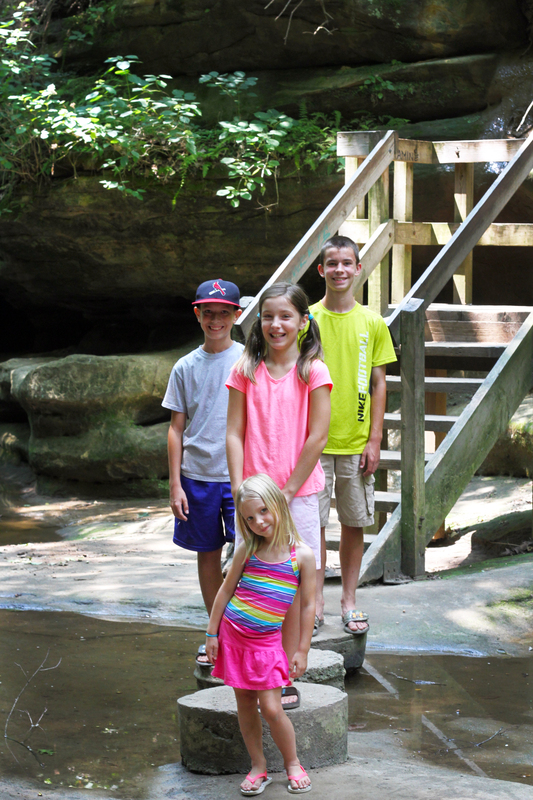 (I should clarify that we actually went to Matthiessen State Park, which is right next to Starved Rock.) I think they all dread the hour-long car ride, but once we’re there, it feels good to be outside exploring. 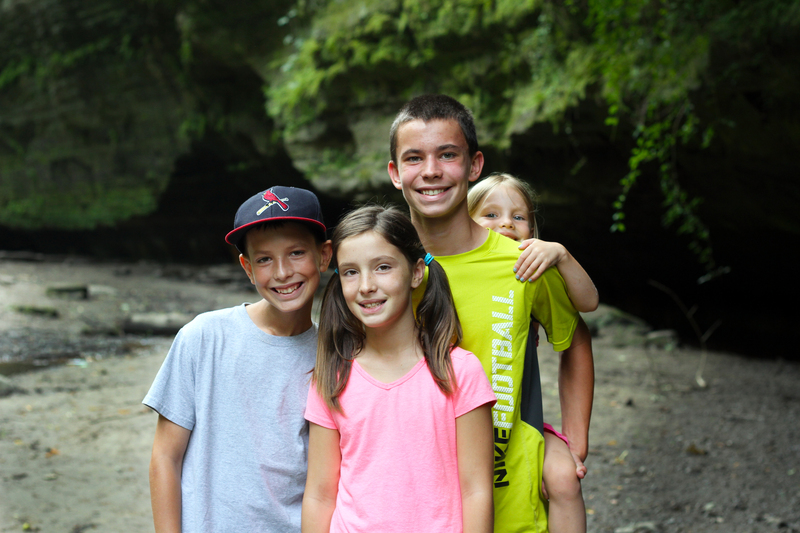 I’ve been taking these kids to Starved Rock for as long as I can remember. But this would be the first time in the history of forever that I would take them and everyone would be big enough to walk the entire time. Even last winter, we still had to take turns carrying the youngest on our backs because she was too tired to walk. 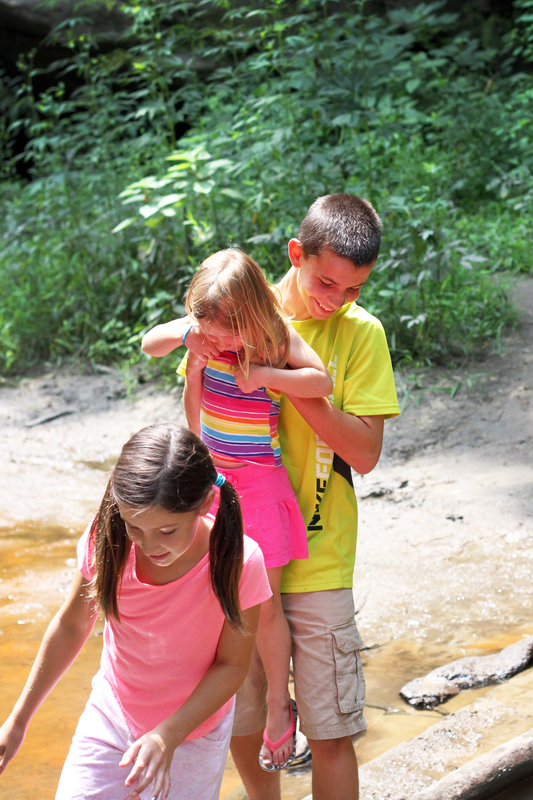 This time she only had to get on someone’s back to help her safely traverse a tricky spot… and to pose for a photo! She is the one I always worry about most. But she ended up being the most excited hiker of the bunch. 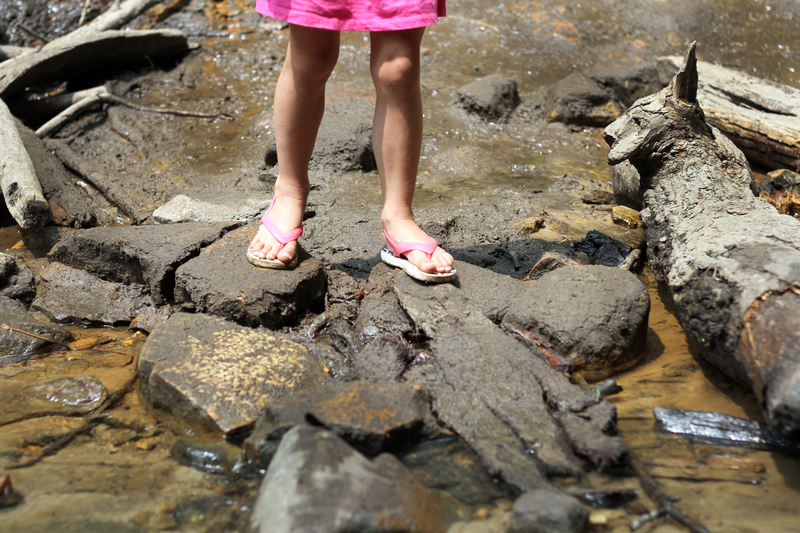 The best part of the day for me was watching my big kids help their little sister make her way across rocks and logs and climb up roots to scale the side of paths. She loved every minute of it, and they took charge of keeping her safe. Sometimes, I think it’s just the bond of working together for a common purpose that brings out the best in people. I loved watching them all take turns looking out for little sis. And in return, her joy at being out in the wilderness doing something that was SO BIG KID was contagious. By the time we got back to the van, we were all tired from walking up what felt like hundreds of steps in and out of the canyons. But she still wasn’t done. Hey, maybe her enthusiasm is spreading! Even a few of the older ones said they would like to go again before summer ends. So, thanks Little Jay. You always have a way of bringing out the best in the rest of us! If you like reading my blog, subscribe to receive it in your inbox! Just fill in your e-mail address in the black box at the bottom of the screen. Or become a follower on Bloglovin.